Not much time for drawing this week but I did manage this little doodle, so from me to you I wish each and every one of you a very happy Christmas filled with, peace, joy and love. 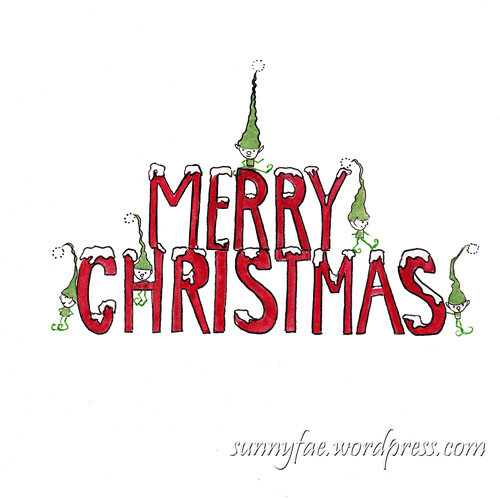 Have a great holiday Sunnyfae. Thank you for all your visits to my blog this year. I shall look forward to seeing more of your lovely art in the new year…. ! Merry Christmas! What a cheerful message in a beautifulshade of red. Thank you for sharing your art and for visiting my blog.